BOOK 3 in the multivolume Liaden Universe short fiction collection. Tales of the Liaden Universe brought together for the first time. Space opera and romance on a grand scale in a galaxy full of interstellar trading clans. 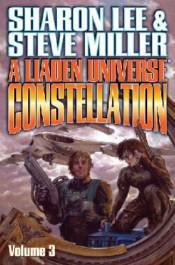 A dozen recent Liaden Universe short works are added to the collection in the third volume ofA Liaden Universe Constellation. Ranging from comic to cosmic, only one of these works was first published before 2011. These welcome new additions bring the collected Constellation of Lee & Miller Liaden short stories to 45 works in three mega-volumes.